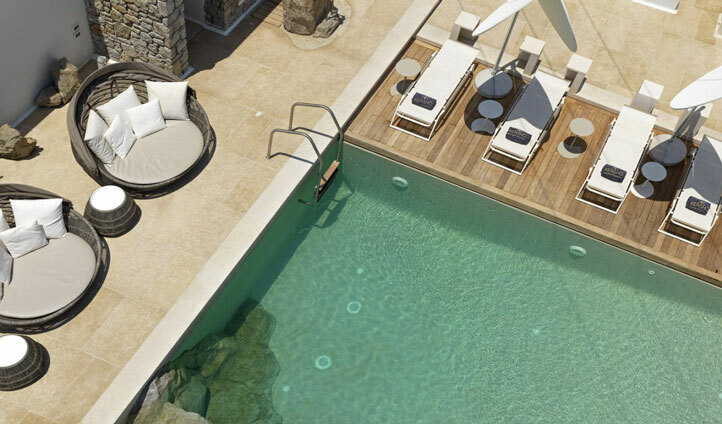 Located on one of the most popular Greek Islands, The Kensho luxury hotel is a stylish hotel situated on the beautiful island of Mykonos. The Kensho design is flawlessly enthused by the natural splendour of the Cyclades emulating the boundless colours of the sky and the sea throughout its 35 rooms; it really is a unique hospitality experience. The Kensho provides you with the perfect mixture of relaxation and rejuvenation with the hotel looking out over the outstanding Ornos Bay or for the more adventurous, where the heart of the island lies only a short walk away. The Kensho is nestled into the miraculous and cosy bay of Ornos with its crystal clear waters and white sand and only 2km away from the heart of Mykonos, the Kensho is the perfect base to enjoy and relax in Mykonos. Mykonos is known for its world renowned beaches such as Elia and Platis Gialos which are located only a short drive or boat trip away providing you with a flawless opportunity to explore these divine beaches on this extraordinary island. 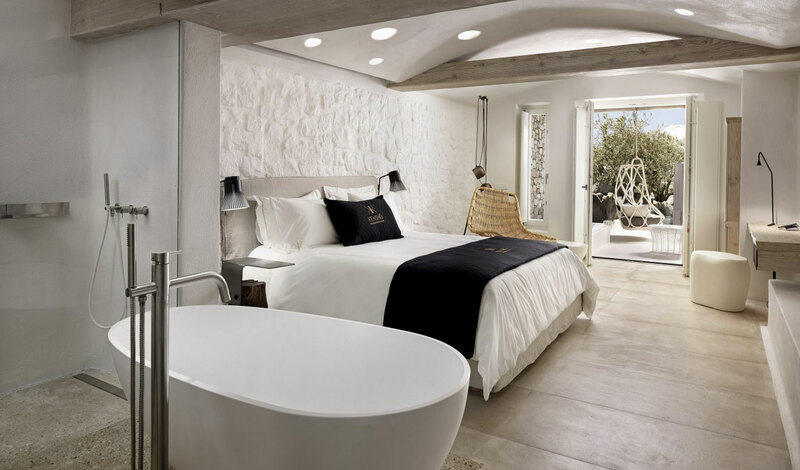 With Cycladic architecture, the main characteristic of the Kensho design of white colour, stone and wood all of the 35 rooms provide you with an exclusive hospitality experience. With each room being designed one by one with the help of illustrious designers such as Kenneth Cobonpue and Patricia Urqiola, The Kensho offers you with a unique originality to each room.